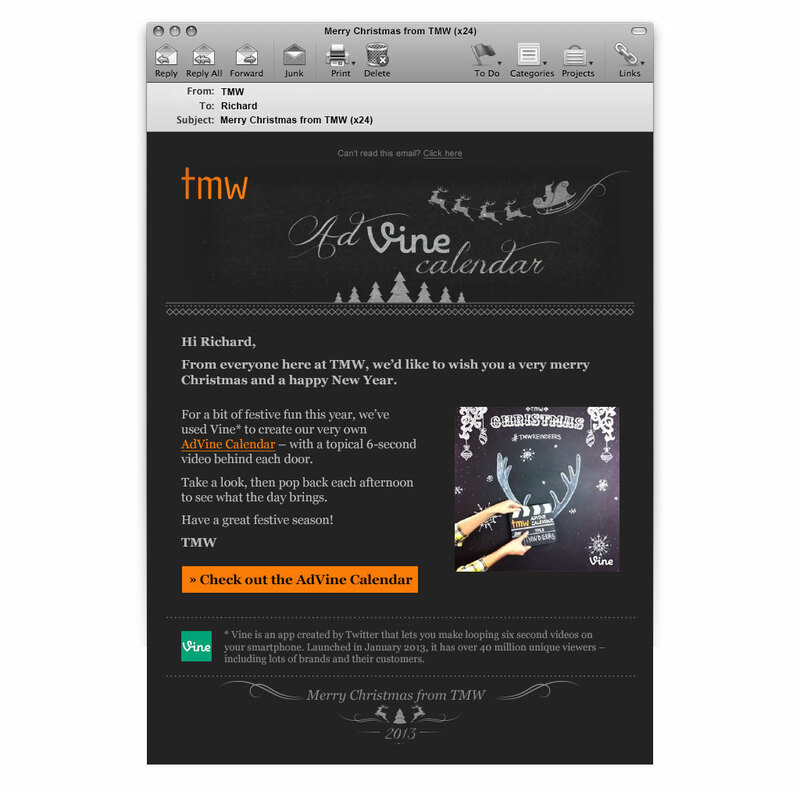 TMW Advine Calendar: Each year TMW look for innovative ways to wish their clients a Merry Christmas. December 2013 saw the agency use the app Vine to create a virtual advent calendar counting down to Christmas. Each day users could visit the website and click to open that date’s window, where they would be rewarded with a 6 second Vine created by a different member of the TMW Creative Department. Vines ranged from cute, clever or topical to the completely absurd. Supporting emails were also sent to clients to raise awareness of the website and wish them Season’s Greetings. My involvement: I designed the look and feel for the Advine Calendar, utilising the Vine logo to emphasise the play on words. I worked alongside a Creative Technologist to design the layout and the mechanic of how the site would work. Additionally I also created a Vine that was shown in the countdown to Christmas.